Cinque, quattro, tre, due, uno, wai! These were the words that summed up the weekend for me. A countdown in Italian sounds so much nicer than the beeps that you usually hear in a start gate – it had a relaxing feel to it, very calming before you headed out there to attack the track. 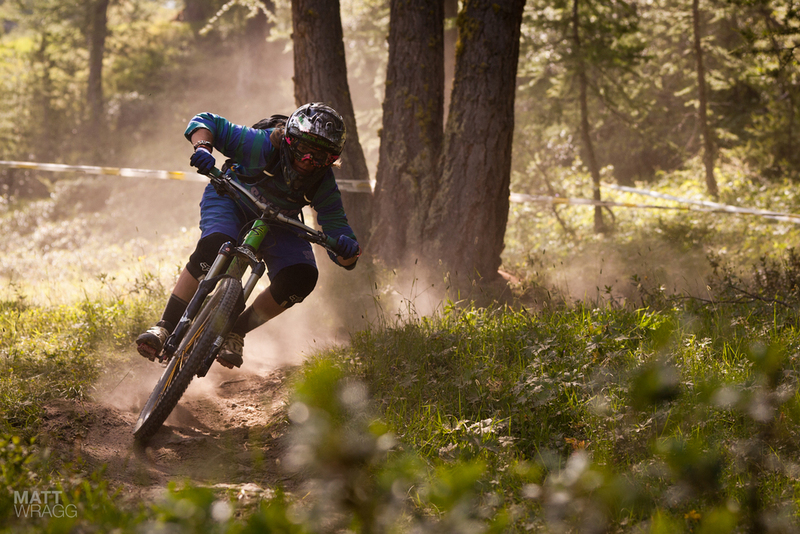 This weekend I was in the beautiful village of Sauze d’Oulx at the Enduro des Nations race. Italy sure is a special place. The energy and passion of the Italian people is contagious, and when you mix that with the amazing cappuccinos, great food, wine, spectacular mountain scenery and perfect, natural flowy trails, you get one of the best combinations for a race weekend ever. The whole vibe of this event is electric thanks to one man in particular, Enrico. His passion for enduro racing and riding is something so rare and so amazing to be around. You can't help but feel like a superstar at a big Formula One race or something. He makes every single athlete feel special and welcome and he knows everyone by name. He gets so taken up and excited about the races and that's how he gets all the local people and the villages excited and involved with this race in particular. Like I've mentioned in the past, we need more Enricos out there in this sport! Today is another perfect, blue-sky day out here in Sauze, and I've just finished up another great weekend of racing. It was the first stage of the Enduro des Nations race, which means that there are teams of three from all different countries racing against each other to see which nation is the fastest and then next weekend they will have round two in Valloire, France to see who the fastest nation will be. The tracks out here are amazing, natural, singletrack riding at its best, with long descents covering all kinds of terrain. Roots, rocks, fast, smooth sections, jumps, grass, steeps, the whole lot and with all the people screaming down the trails, it got pretty blown out and beat up by race day. Our bikes and bodies took quite a beating and it felt like we were racing downhill on our little bikes. Of course on Saturday morning the thunder hit and the rains came down by the bucketload, just enough to get everyone worked up into a frenzy before the start, scrambling to put spikes on our wheels. One of the rules at the SuperEnduro races is that you have to use the same set of wheels, same fork and same frame for the entire race, so if something like that happens, you have to be able to act quick and change up. Not something I'm so great at, changing tyres and setting them up tubeless; my morning was frantic to say the least. Thanks to Matt Wragg for helping me with that and also to Jerome and his dad for all their mechanical help and advice on everything. Jerome really is such an amazing person and racer, always staying calm, smiling and willing to help out even when he has to get ready for his own race. Merci! Well the spike was good for the first stage, then not so much, but we had to keep running it until we had our allocated lunch break back at the pits where once again, everyone was frantically trying to get regular tyres back on. I didn’t have a team, as my situation is not an easy one to fill: South African, American, sort of Kiwi. Not so easy to find other girls who will fit that mixed up nationality status. Not a problem though, as you are also able to race solo and still get to have an overall ranking or position along with the teams. It was a tough battle between the girls. The level of racing has really improved from last year, and with 23 solo girls entered and three female teams racing, the numbers had increased hugely from last year’s turnout. We battled it out over two days of racing and after so many races we were only seconds apart, which made for some really exciting racing between the women. I ended up winning the overall race, with Morgane Such in second place and my good friend Pauline Diffenthaler in third. The French girls ended up winning the team race with Italy in second and Finland in third. Bravo to all the girls that raced this weekend! For the men, the competition was super tough as usual, but Jerome Clementz took the overall win, with Nicolas Vouilloz in second and Nicolas Lau in third place. The UK ended up winning the team event with France second and Italy in third. Jamie was also out here representing New Zealand, and he killed it as usual. He did get a one minute penalty for not leaving the lunch area on time, but there are so many rules and regulations involved with these races, and each event has its own set of rules, that it's really easy to make a mistake like this. I almost forget to check in at the checkpoint after my final race; luckily someone reminded me. If they hadn't, I would have lost the race. I guess that's how you learn, hey? All in all, a wonderful event, great spirit, great level of racing in the men’s and the women’s fields, amazing terrain and of course way too much pasta, pizza, red wine and gelato! If those things listed above aren’t enough to get you inspired to get a team together and head out here for next year's race, well you’ll be missing out on a really great event. The Enduro des Nations will continue next weekend in Valloire, France, where the battle to be the fastest nation will continue. I think the French are hungry to get their title back in their home country, so it should be another exciting weekend of racing between those guys. For now, I'm done racing for a few weeks. These enduro races are full on. You do one event, but during that event that runs over two days, you end up doing between eight and ten different races on different tracks, so they're full on. I'm very happy and relieved with how my enduro season has turned out this year. It has been a tough last few weeks, with back-to-back races and a really high level of racing between the girls. There has been no easy race, no chilling, just full on pinned down every run. My body is so beat up, and I feel the need for some much needed R&R. Time to get back on my XC bike now to train for the upcoming 7 day Trans Provence race in September.